This week's episode covers overtime pay, CAS and GAAP, and OTA use news, and is hosted by partners David Robbins and Peter Eyre. Crowell & Moring's "Fastest 5 Minutes" is a biweekly podcast that provides a brief summary of significant government contracts legal and regulatory developments that no government contracts lawyer or executive should be without. This week's episode covers FY20 budget and GAO high risk report news, and is hosted by partner Peter Eyre. Crowell & Moring's "Fastest 5 Minutes" is a biweekly podcast that provides a brief summary of significant government contracts legal and regulatory developments that no government contracts lawyer or executive should be without. This week's episode covers NSA cybersecurity, enhanced GSA debriefing, and OFCCP news, and is hosted by partner David Robbins. Crowell & Moring's "Fastest 5 Minutes" is a biweekly podcast that provides a brief summary of significant government contracts legal and regulatory developments that no government contracts lawyer or executive should be without. This week's episode covers shutdown, small business, and Buy American Act news, and is hosted by partners Peter Eyre and David Robbins. Crowell & Moring's "Fastest 5 Minutes" is a biweekly podcast that provides a brief summary of significant government contracts legal and regulatory developments that no government contracts lawyer or executive should be without. This week's episode covers government shutdown, trafficking in persons policy, and False Claims Act news, and is hosted by partner David Robbins. 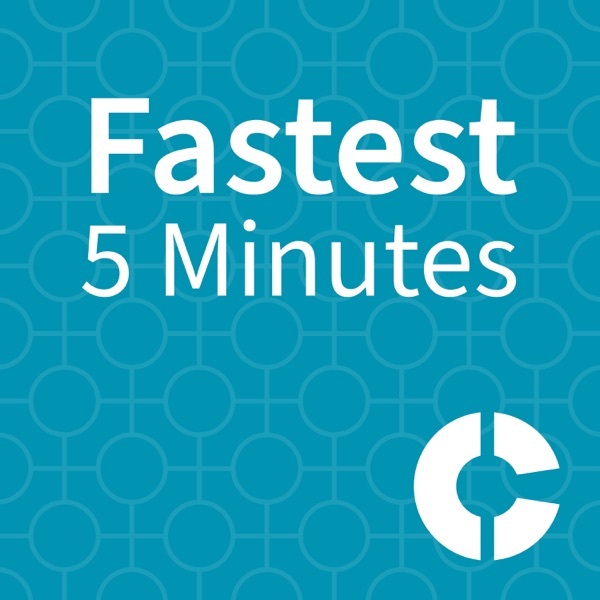 Crowell & Moring's "Fastest 5 Minutes" is a biweekly podcast that provides a brief summary of significant government contracts legal and regulatory developments that no government contracts lawyer or executive should be without. This week's episode covers Other Transaction Authority, limits on subcontracting, and bid protest news, and is hosted by partners David Robbins and Peter Eyre. Crowell & Moring's "Fastest 5 Minutes" is a biweekly podcast that provides a brief summary of significant government contracts legal and regulatory developments that no government contracts lawyer or executive should be without. This week's episode covers GSA schedule, cybersecurity, and FCA news, and is hosted by partners Peter Eyre and David Robbins. Crowell & Moring's "Fastest 5 Minutes" is a biweekly podcast that provides a brief summary of significant government contracts legal and regulatory developments that no government contracts lawyer or executive should be without. This week's episode covers Mentor-Protégé Program, PCTTF, and corporate monitor news, and is hosted by partner David Robbins. Crowell & Moring's "Fastest 5 Minutes" is a biweekly podcast that provides a brief summary of significant government contracts legal and regulatory developments that no government contracts lawyer or executive should be without. This week's episode covers VOSB, cyber, FOCI, and OTA news, and is hosted by partners David Robbins and Peter Eyre. Crowell & Moring's "Fastest 5 Minutes" is a biweekly podcast that provides a brief summary of significant government contracts legal and regulatory developments that no government contracts lawyer or executive should be without. This week's episode discusses cost and pricing news, cyber strategies, and OFCCP news, and is hosted by partners David Robbins and Peter Eyre. Crowell & Moring's "Fastest 5 Minutes" is a biweekly podcast that provides a brief summary of significant government contracts legal and regulatory developments that no government contracts lawyer or executive should be without. This week's episode covers IR&D, antiterrorism, and DoD news, and is hosted by partners David Robbins and Peter Eyre. Crowell & Moring's "Fastest 5 Minutes" is a biweekly podcast that provides a brief summary of significant government contracts legal and regulatory developments that no government contracts lawyer or executive should be without. This week's episode covers SAM news, OTA news, and proposed rules, and is hosted by partner Peter Eyre. Crowell & Moring's "Fastest 5 Minutes" is a biweekly podcast that provides a brief summary of significant government contracts legal and regulatory developments that no government contracts lawyer or executive should be without. This week's episode covers Supreme Court, NDAA, and 'Fat Leonard' news, and is hosted by partners David Robbins and Peter Eyre. Crowell & Moring's "Fastest 5 Minutes" is a biweekly podcast that provides a brief summary of significant government contracts legal and regulatory developments that no government contracts lawyer or executive should be without. This week's episode covers DOJ, IDIQ, and GAO case law news, and is hosted by partner David Robbins. Crowell & Moring's "Fastest 5 Minutes" is a biweekly podcast that provides a brief summary of significant government contracts legal and regulatory developments that no government contracts lawyer or executive should be without. This week's episode covers DFARS and SBA Mentor Protégé Program news and is hosted by partner Peter Eyre. Crowell & Moring's "Fastest 5 Minutes" is a biweekly podcast that provides a brief summary of significant government contracts legal and regulatory developments that no government contracts lawyer or executive should be without. This week's episode covers FedRAMP news, DOL news, and GSA schedule news, and is hosted by partner David Robbins and associate Monica Sterling. Crowell & Moring's "Fastest 5 Minutes" is a biweekly podcast that provides a brief summary of significant government contracts legal and regulatory developments that no government contracts lawyer or executive should be without. This week's episode covers bid protest, debriefing, and cybersecurity news, and is hosted by partners David Robbins and Peter Eyre. Crowell & Moring's "Fastest 5 Minutes" is a biweekly podcast that provides a brief summary of significant government contracts legal and regulatory developments that no government contracts lawyer or executive should be without. This week's episode covers IT modernization, tariff news, and OFCCP news, and is hosted by partner David Robbins. Crowell & Moring's "Fastest 5 Minutes" is a biweekly podcast that provides a brief summary of significant government contracts legal and regulatory developments that no government contracts lawyer or executive should be without. This week's episode covers tariff news, bid protest news, and bridge contract news, and is hosted by partner David Robbins. Crowell & Moring's "Fastest 5 Minutes" is a biweekly podcast that provides a brief summary of significant government contracts legal and regulatory developments that no government contracts lawyer or executive should be without. This week's episode covers budget news, the Brand memo, and cybersecurity news, and is hosted by partners Peter Eyre and David Robbins. Crowell & Moring's "Fastest 5 Minutes" is a biweekly podcast that provides a brief summary of significant government contracts legal and regulatory developments that no government contracts lawyer or executive should be without. This week's episode covers commercial items and the 809 report, and is hosted by Peter Eyre, Chris Haile, and Elizabeth Buehler. Crowell & Moring's "Fastest 5 Minutes" is a biweekly podcast that provides a brief summary of significant government contracts legal and regulatory developments that no government contracts lawyer or executive should be without. This week's episode covers cloud computing, Escobar news, and the semiannual regulatory agenda, and is hosted by partners Peter Eyre and David Robbins. Crowell & Moring's "Fastest 5 Minutes" is a biweekly podcast that provides a brief summary of significant government contracts legal and regulatory developments that no government contracts lawyer or executive should be without. This week's episode covers False Claims Act items, GAO protests, and cybersecurity and is hosted by partners Peter Eyre and David Robbins. Crowell & Moring's "Fastest 5 Minutes" is a biweekly podcast that provides a brief summary of significant government contracts legal and regulatory developments that no government contracts lawyer or executive should be without. Announcing a new podcast feature – Ask Us Anything! Have questions you’d like answered anonymously? Want our thoughts in general on a particular topic? Send in questions and we’ll do our best to feature them in a future podcast. Email your questions to David at drobbins@crowell.com. Disclaimer: we cannot give legal advice unless and until we have an engagement letter in place. This week's episode covers a report from DIUx, bid protests, qui tam policy development, and other updates, and is hosted by partners David Robbins and Peter Eyre. Crowell & Moring's "Fastest 5 Minutes" is a biweekly podcast that provides a brief summary of significant government contracts legal and regulatory developments that no government contracts lawyer or executive should be without. This week's episode covers army modernization, whistleblower reprisal, sentencing in procurement fraud cases, and other updates, and is hosted by partner David Robbins and senior counsel Mark Ries. Crowell & Moring's "Fastest 5 Minutes" is a biweekly podcast that provides a brief summary of significant government contracts legal and regulatory developments that no government contracts lawyer or executive should be without. Crowell & Moring's "Fastest 5 Minutes" is a biweekly podcast that provides a brief summary of significant government contracts legal and regulatory developments that no government contracts lawyer or executive should be without. This latest edition is hosted by partners Peter Eyre and David Robbins and includes updates on CFIUS, DSS, DFARS safeguarding, and NAICS. Crowell & Moring's "Fastest 5 Minutes" is a biweekly podcast that provides a brief summary of significant government contracts legal and regulatory developments that no government contracts lawyer or executive should be without. This latest edition is hosted by partners Peter Eyre and David Robbins and includes updates on NDAA FY 2018 provisions, GAO rulings, and the Semiannual Regulatory Agenda posted by DoD, NASA, and the GSA. Crowell & Moring's "Fastest 5 Minutes" is a biweekly podcast that provides a brief summary of significant government contracts legal and regulatory developments that no government contracts lawyer or executive should be without. This latest edition is hosted by partners Peter Eyre and David Robbins and includes updates on the U.S. Cyber Command, a recent Treasury audit focusing on FISMA matters, and an OMB memo halting proposed changes to the EEO-1 form. Crowell & Moring's "Fastest 5 Minutes" is a biweekly podcast that provides a brief summary of significant government contracts legal and regulatory developments that no government contracts lawyer or executive should be without. This latest edition is hosted by partners Peter Eyre and David Robbins and includes updates on DoD's plan to implement the 2017 NDAA, a NIST publication on cybersecurity, and relevant case law. Crowell & Moring's "Fastest 5 Minutes" is a biweekly podcast that provides a brief summary of significant government contracts legal and regulatory developments that no government contracts lawyer or executive should be without. This latest edition is hosted by partner Peter Eyre and counsel Olivia Lynch and includes updates on GAO reports on cybersecurity, a NASA final rule on award terms, and the federal budget. Crowell & Moring's "Fastest 5 Minutes" is a biweekly podcast that provides a brief summary of significant government contracts legal and regulatory developments that no government contracts lawyer or executive should be without. This special edition is hosted by partner David Robbins and discusses news from the week of July 17, including SASC and House amendments to the NDAA for FY2018 and OMB's FY2019 budget guidance. Crowell & Moring's "Fastest 5 Minutes" is a biweekly podcast that provides a brief summary of significant government contracts legal and regulatory developments that no government contracts lawyer or executive should be without. This latest edition is hosted by partner David Robbins and includes updates on the GAO Data Act report and Organization Conflicts of Interest decisions, President Trump's recent executive orders, and notable data breach case law. Crowell & Moring's "Fastest 5 Minutes" is a biweekly podcast that provides a brief summary of significant government contracts legal and regulatory developments that no government contracts lawyer or executive should be without. This latest edition is hosted by partner Peter Eyre and includes updates on the creation of OAI, recent relevant litigation, and the Buy American, Hire American Executive Order. Crowell & Moring's "Fastest 5 Minutes" is a biweekly podcast that provides a brief summary of significant government contracts legal and regulatory developments that no government contracts lawyer or executive should be without. This latest edition is hosted by partners Peter Eyre and David Robbins and includes updates on the budget, an FCA case in D.C. federal district court, and an important OCI decision. Crowell & Moring's "Fastest 5 Minutes" is a biweekly podcast that provides a brief summary of significant government contracts legal and regulatory developments that no government contracts lawyer or executive should be without. This latest edition is hosted by partner David Robbins and includes updates on GAO's Whistleblower Protections Pilot Program, the latest from the House of Representatives, and a DOJ FCA matter. Crowell & Moring's "Fastest 5 Minutes" is a biweekly podcast that provides a brief summary of significant government contracts legal and regulatory developments that no government contracts lawyer or executive should be without. This latest edition is hosted by partners David Robbins and Peter Eyre and includes updates on DOJ Fraud Section guidance, GSA OIG's report on 18F, and an interesting Fourth Circuit decision. Crowell & Moring's "Fastest 5 Minutes" is a biweekly podcast that provides a brief summary of significant government contracts legal and regulatory developments that no government contracts lawyer or executive should be without. This latest edition is hosted by partners David Robbins and Peter Eyre and includes updates on DoD and NASA reports, the Anti-Kickback Act, and the government's right to veto False Claims Act settlements. Crowell & Moring's "Fastest 5 Minutes" is a biweekly podcast that provides a brief summary of significant government contracts legal and regulatory developments that no government contracts lawyer or executive should be without. This latest edition is hosted by partners David Robbins and Peter Eyre and includes updates on the National Defense Authorization Act for Fiscal Year 2017, a new policy by the OMB for responding to a breach of PII, and DOL enforcement actions. Crowell & Moring's "Fastest 5 Minutes" is a biweekly podcast that provides a brief summary of significant government contracts legal and regulatory developments that no government contracts lawyer or executive should be without. This latest edition is hosted by partners David Robbins and Peter Eyre and includes updates on a FAR proposed rule, the National Defense Authorization Act for Fiscal Year 2017, and a Court of International Trade holding about what it means for merchandise to be "substantially transformed" in the U.S.
Crowell & Moring's "Fastest 5 Minutes" is a biweekly podcast that provides a brief summary of significant government contracts legal and regulatory developments that no government contracts lawyer or executive should be without. This latest edition is hosted by partners David Robbins and Peter Eyre and includes updates on GSA, NASA, and DoD rules, DIUx's new guidebook, GAO protest dismissals, and a Supreme Court ruling on the False Claims Act. Crowell & Moring's "Fastest 5 Minutes" is a biweekly podcast that provides a brief summary of significant government contracts legal and regulatory developments that no government contracts lawyer or executive should be without. This latest edition is hosted by partners David Robbins and Peter Eyre and includes updates on Fair Pay and Safe Workplaces, the Health IT Certification Program, and defense acquisition. Crowell & Moring's "Fastest 5 Minutes" is a biweekly podcast that provides a brief summary of significant government contracts legal and regulatory developments that no government contracts lawyer or executive should be without. This latest edition is hosted by Partners David Robbins and Lorraine Campos and includes updates on the Transactional Data Rule Pilot Program, proposed FAR amendments, and bid protests. Crowell & Moring's "Fastest 5 Minutes" is a biweekly podcast that provides a brief summary of significant government contracts legal and regulatory developments that no government contracts lawyer or executive should be without. This latest edition is hosted by Partners David Robbins and Peter Eyre and includes updates on counterfeit parts, NIST digital authentication guidelines, and DoD commercial item determination guidance. Crowell & Moring's "Fastest 5 Minutes" is a biweekly podcast that provides a brief summary of significant government contracts legal and regulatory developments that no government contracts lawyer or executive should be without. This latest edition is hosted by Partners David Robbins and Peter Eyre and includes updates on the Fair Pay and Safe Workplaces Rule, information protection issues, DoD IT modernization priorities, and notable GAO decisions. Crowell & Moring's "Fastest 5 Minutes" is a biweekly podcast that provides a brief summary of significant government contracts legal and regulatory developments that no government contracts lawyer or executive should be without. This latest edition is hosted by Partner David Robbins and guest host, Counsel Addie Cliffe, and includes updates on the DFARS counterfeit parts rules, the HUBZone Program, the Federal Source Code Policy, and notable GAO decisions. Crowell & Moring's "Fastest 5 Minutes" podcast is hosted by Peter Eyre and David Robbins and provides a biweekly summary of significant government contracts legal and regulatory developments that no government contracts lawyer or executive should be without. Our regulatory updates this edition (July 15-29) focus primarily on small business, because that is where all the action has been.